According to a story on the MarketWatch web site yesterday, two not-for-profit organizations have been seeking hearings on revocation of patents held by Medivation on the drug enzalutamide (Xtandi). Apparently, the two not-for-profits (Knowledge Ecology International and the Union for Affordable Cancer Treatment) first petitioned the National Institutes of Health for a hearing in a letter sent in January this year. Their concern is that, given the amount of taxpayer money that was invested in the development of enzalutamide for the treatment of castration-resistant prostate cancer (CRPC), they are outraged by the price being charged for this drug in the US market. They claim that this is 300 percent and more higher than the price being charged in other countries. The “New” Prostate Cancer InfoLink is not going to take any sides on issues like this. On the one hand, we have frequently expressed concerns about the prices charged for new forms of cancer treatment in recent years (both here in America and elsewhere). On the other hand, we are well aware that the development of new drugs is a costly exercise and that funding such translational research requires drug companies to make reasonable profits. However, what we will say is that there is a major lack of financial transparency about any of the real issues that underlie this ongoing debate about drug pricing — not just here in America, but all around the world. At least when you go to buy a car or a house you have some idea of the real cost that is going to come out of your pocket … even if there is some room for negotiation. In the case of drug therapy here in the USA, almost no one except the drug companies really seems to know how much is getting paid to whom or what the “real” price is at the end of the day because almost everything is negotiable if one’s buying power is high enough. This is why the National Institute for Health and Care Excellence (NICE), in England, can afford to be such a tough negotiator. Astellas Pharma issued a brief statement on this issue yesterday, noting that the petition for hearings on this issue “fails to reflect what payers or patients actually pay for the medicine.” As yet (i.e., at 10:00 a.m. Eastern on March 30), Medivation has made no public statement that we are aware of. As we have stated previously, this could become a major political issue that affects the upcoming elections in the USA this year. On Monday, 12 high-profile Congressional representatives (including Presidential candidate Bernie Sanders) issued a letter in support of the initial request from the two not-for-profits. Several other not-for-profits had already supported the initial request for hearings. 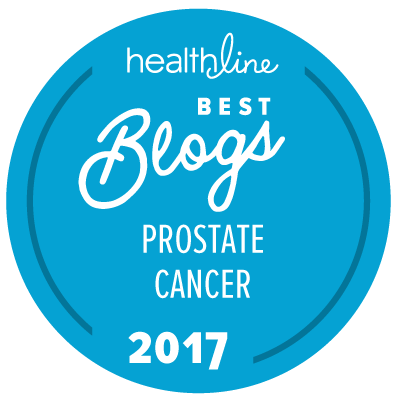 As far as The “New” Prostate Cancer InfoLink is aware, none of the well-known prostate cancer advocacy organizations were asked to sign or even informed about this issue. Yesterday’s media report was certainly the first time anyone at Prostate Cancer International or The “New” Prostate Cancer InfoLink became aware of this ongoing issue. I like activism. It is the only thing that gets the attention of the drug industry. It is too bad these two groups did not contact the prostate cancer community before taking this action. A combined approach is always more powerful. Revocation would be highly unlikely over cost but one never knows. What bothers me is that Medicare is bound by law not to seek the lowest prices for the drugs they pay for. The pharma industry successfully lobbied this out of the Medicare. The VA pays less for these expensive drugs than Medicare does. It is all our money!! Not sure why you think this is a “balanced” position. Drug companies make obscene profits, which we allow them to shield from taxation. There are not always two sides to every story. This is a bigger deal than just two non-profits. Legislators in the U.S. Congress and presidential candidate are weighing in. See this coverage in the New York Times: http://www.nytimes.com/aponline/2016/03/29/us/ap-us-medivation-drug-prices.html?partner=IFTTT and similar coverage in the Wall Street Journal. Of course, this is hot on the heels of the problems with Valeant and the outcry of Martin Shkreli’s repricing at Turing. First, I can not agree with you that, “There are not always two sides to every story”. Rather, there are always at least two sides to every story. This is a story in which there are certainly more than two sides. There is the side that says, “Any for-profit company should be allowed to optimize its profitability, and it’s up to the purchaser of the product to pay whatever the market will bear for that product.” There is the side that says, as you do, that, “Drug companies make obscene profits, which we allow them to shield from taxation.” There is the side that says, “If we had an efficient health care system in America, a NICE-like organization would be able to negotiate, on behalf of us all, what a “reasonable” price was for a new drug.” There is the side that says, “If the federal government invests heavily in development of certain types of drug, they should have certain rights related to the pricing and profits of that drug.” I can think of numerous others. I did not say that The “New” Prostate Cancer InfoLink was taking a “balanced” position on this. There is no consensus at all on what a “balanced” position should be. And that is a fundamental part of the problem. Plenty of others who live in the world of “free trade” and “business liberties” would say that the position you suggest is outrageous, and that the biopharmaceutical industry takes huge economic risks to gain the subsequent rewards. Like many things in an increasingly complex world, this is not a “black and white” issue. If you read the entire article above, it did carefully point out that “Legislators in the U.S. Congress and presidential candidate are weighing in”, and provides you with access to the letter that they wrote on the topic. But this specific issue started with the two non-profits mentioned. Free markets will normally dicitate the appropriate pricing for goods and services. Companies that develop products on their own dime should be allowed to charge what a customer is willing to pay for the products. However this is not the case at least here in the US. Prostate cancer patients who are on Medicare are not party to a free market system. Patients covered by a for-profit insurance company are a bit different since these companies have the ability to adjust premiums over large populations of insured people to cover higher costs. Insurance companies always make money. In the case of Medicare patients, if the doctor considers the procedure medically necessary and it is an FDA approved treatment then Medicare most likely will approve the treatment, including Part D drugs. The patient may pay a good sized co-payment if they have Part D insurance until they are through the donut hole. However it is a small amount compared to what Medicare winds up paying. Since Medicare is a not an insurance company, they do not pass the cost back to the insured but instead use government funding to cover the shortfall. There is little to no push back on the cost of these drugs from Medicare. There is no gatekeeper agency like NICE. I am not an insurance expert but with the number and cost of new drugs rising combined with more people living longer and using more and more Medicare resources, it does not take a rocket scientist to figure out that this system can not sustain itself. Medicare will need to limit both the patient use of treatments and the reimbursement paid to the drug companies. How they do that may depend on when the process of reform begins. If we wait (as it seems we are heading) until it is a major crisis, the consequences may be more dire. The same can be said for the currently government subsidized private health care mandate. If private companies cannot make a profit, they will drop out of the business, leaving the government as the primary payer. It does not seem feasible, at least from my view, that government-sponsored or government-subsidized health insurance can continue without both reasonable limitations on services provided and strongly negotiated reimbursement for treatment. There are strong political special interest groups, including drug companies, that will fight tooth and nail to stop reform. It is politically incorrect to tell the American voting public the true facts. Delaying the day of reckoning will only make the change more painful when it does arrive. This is just my opinion of the situation. It may only be “your opinion” Bill, … but your opinions are always worth paying attention to! There is no question that lobbyists for drug companies do their best to push for policies which make possible some level of profitability — obscene or otherwise — for the companies. It is the hope of such profits which lead investors like myself to invest in biotech companies struggling to develop new medical products. The enormous costs and lengthy procedures required for running trials for new drugs are mandated by the US government. The whopping costs can only be paid back by whopping prices for the drugs when they eventually reach the market. And these prices must be high enough to cover costs for not only the 4% of substances approved, but also for the 96% which fall by the wayside. No whopping prices — no new cancer drugs! This is why so many Democrats in Congress (except for extreme lefties and wackos) have for years been willing to support the existing (flawed, artificial, yet productive) money-driven framework for new drug discovery, and why it will probably continue despite the arm-waving of some politicians. Another, perfectly rational, option is to nationalise all drug companies. Let research be done at universities and/or dedicated government agencies, pay the weapons industry to produce the drugs, and finance if necessary by a yearly decided steeply progressive taxation. If necessary buy from Indian firms. This may seem “perfectly rational” to you, but I can assure you that I know of no government that would be willing to take the financial risks necessary to invest in biopharmaceutical drug development to the tune of many billions of dollars (or euros) on an annual basis. … On top of which, commercial drug development (as opposed to research and the implementation of clinical trials) is a process that almost no one in academic circles (let alone the weapons industry) has much if any experience with. Even DARPA, which does at least offer a reasonable model, has no experience in the world of biopharmaceutical development.